Well today I met with my consultant, this time under happier circumstances the last time I was in this room, I was sore, having stitches removed and was still unsure of the future. Today I am cancer free and talking of the future, once again I have written a letter to my Consultant, this time it conveys the magnitude and gratitude of the work of Mr Pandey and his team in returning me back to my life and passion of being back on the farm. Significantly back on the farm, lambing is just around the corner, Lambing allows us to see the new life, hope, opportunity and the early beginnings of summer with another year on the farm. In the outpatient waiting room we met with a couple from Wychbold, who recognised me from my article in the Farmers Guardian, on the desk there were leaflets promoting my talk at the National Bowel Cancer day on the 8th of April on the psychological impact of being diagnosed with Bowel Cancer make this 6 Month journey quite surreal, I hope I can deliver the talk from the heart with a positive vision for the future. Meeting with the team, who helped me through this the most difficult of times, my attention is drawn to Sue who has stood quietly by struggling just as much as I, in trying to make sense in why and how we should move forward with the devastating news of Cancer. On the 28th of May we will be Married, a decision affirmed by the worst of news whilst at the same time confirming the love that we have for each other being stronger than the circumstances we found ourselves in is testimony to our future together. Sue is my constant, her smile is my warmth, her presence is my glow. Meeting with Cassie Dovey my Colorectal Clinical Nurse, I said that I had started out to save #Just1Family from Bowel Cancer, her confirmation that I had done more than that has made sharing our journey so very worth while. Worcester Royal is the second largest hospital in the country specialising in Bowel Cancer Diagnosis and Treatment, they are currently working on a new model of processing patients from the point of diagnosis to reduce the waiting time for treatment, we should never take for granted the work of our front line NHS staff and their tireless effort in securing each of our futures. 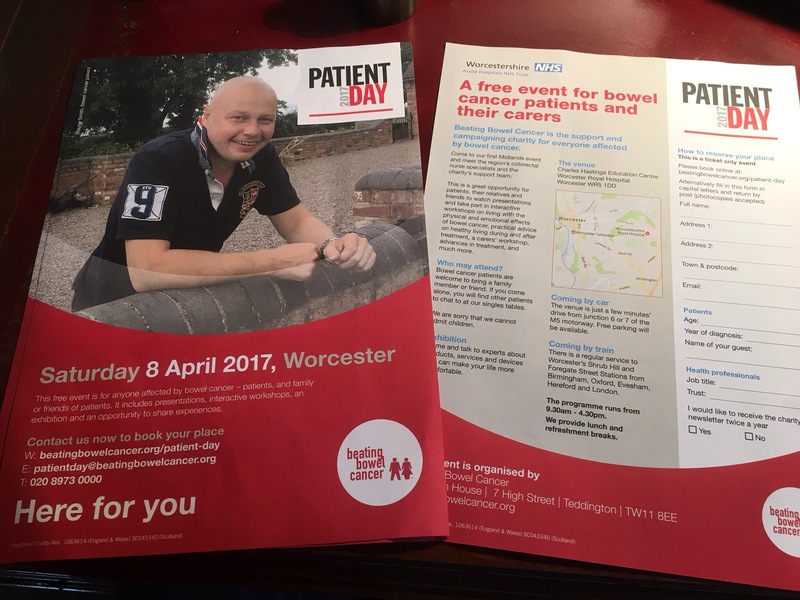 This post is dedicated to all those finding their way through life beyond Bowel Cancer. Bowel Cancer-It’s OK to cry.